Created by AIR’s founder, John Flanagan, and funded by the U.S. Department of Education, the study assessed a broad cross-section of the American high school population. Students participated in a two-day battery of tests and questionnaires covering aptitude, abilities, interests, and individual and family characteristics. 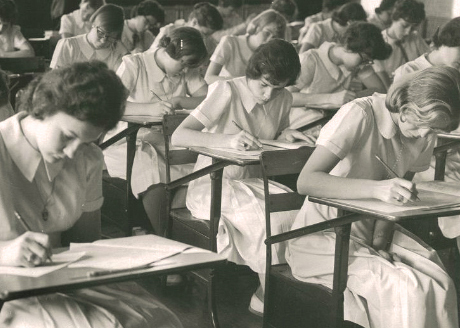 Until 1974, the study followed these students, collecting new data at one, five, and eleven years after their expected high school graduation date. Alzheimer’s Disease and Related Dementias (ADRD) - Our primary focus on dementia has the broad goal of identifying adolescent antecedents, resilience factors, and lifecourse mechanisms for Alzheimer’s Disease and related dementias, and later life health and cognition. Health Disparities - Our second focus includes research on population-level differences in health status and life expectancy. Socioeconomic adversity in early life is a risk factor for poor brain health in later life, but some individuals are resilient, achieving better-than-expected outcomes despite facing early life adversity. The mechanisms of resilience, as well as the causal pathways between early life adversity and later life brain health, are unclear, but educational experiences are very likely critical. Our research will evaluate the role of school quality and racial disparities in promoting resilience to early life adversity. Mortality and Morbidity - Our third focus includes research about the role individual traits play in socioeconomic mortality and morbidity differentials across the lifecourse. 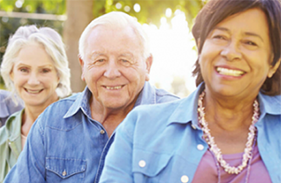 Project Talent Aging Study – This core survey collects information on a range of factors related to well-being among older adults, including psychosocial and lifestyle factors, health, family background and connections, employment, and socioeconomic status. Project Talent Biobank – The PT Biobank has been established to help researchers better understand how family and school environment, education, and other factors have contributed to later life health and wellness. The Biobank includes the collection of biological specimens (saliva) from approximately 1,500 randomly selected participants. Biomarkers may be used as predictors of health outcomes including dementia. Project Talent Personality Inventory – The PTPI is a reliable and validated set of personality scales measured in 1960 and useful for researchers who might be interested in life course outcomes, such as mortality, occupational success, relationship success, and health. The ten sub-scales of the PTPI are mapped onto the Big Five personality traits. Project Talent Mortality Registry – The PTMR was created to track mortality and cause of death with ongoing linkages to the National Death Index. Administrative Linkages – Project Talent data are linked at the individual level to several sources of administrative data. For information about health and health care utilization, PT data are linked to Medicare records from the Centers for Medicare and Medicaid Services (CMS). The 2012 Project Talent Pilot Study was linked to administrative records of the Social Security Administration earnings and benefits histories. In the next few years, Project Talent data will be linked to the 1950 Census data. Project Talent Contextual Databank – Project Talent data are linked geographically to a broad range of social and environmental data including high school and neighborhood characteristics, Census, and air and water quality indicators.